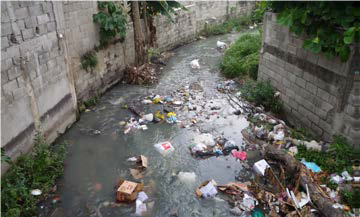 Water is a transcendental aspect within the thematic priorities and cross-cutting themes of the development agenda of the Dominican Republic, due to its effects on public health and rural livelihoods. Integrated water resources management (IWRM), which considers climate change, especially in river basins, sub-basins and other sources of water supply for rural communities, is a requirement for any intervention related to water with which you want to address the impacts of climate change and the vulnerability of communities. The main objective of the program is to increase the resilience and capacity to adapt to climate impacts and risks on the water resources of rural communities in the Province of San Cristóbal and contribute to the diversification of their livelihoods. This objective will be achieved through improving the access to water supply and sanitation services, re-afforestation activities aligned with a correct land use, and increasing institutional and community capacity and coordination for integrated management that supports other uses of water, especially for the diversification of the livelihoods of communities.